Sync licensing is an important driver, both creatively and financially, for artists, composers and producers. At a basic level, granting a sync and master license means to allow a third party to use the copyright and sound recording of a musical work in timed relation with visual media (ie. TV, Film, Ads, Trailers, Video Games, etc..). In my experience, sync is an art form that can add a dynamic layer to an artist’s story while also providing a significant revenue stream. It’s an exciting time to work in the music industry as more and more people have been enabled to create, independently distribute and market truly great music. However, this also means that the market is quite crowded. Sync can be one way to stand out, and, in this landscape, I think artists at any stage of their career should be thinking about it. The sync industry is built upon trusted creative relationships and knowing how to be at the right place at the right time. Music, at its core is subjective. For that reason artists and especially new artists, should not rely on sync as a sole source of revenue or marketing. Yet, I think that it’s imperative to align oneself with partners and companies that can put the music in the best place to succeed in this space. There are companies and teams in all areas of the music industry that specialize in syncing music: music publishers (that are actively pitching), sync houses, creative sync teams at labels and distribution companies, production music libraries, etc. Every artist is different and finding the right fit takes time and research. What is more important is understanding your value as an artist and asking questions when you do get to the table. When approached by a third party seeking to pitch and sync music on your behalf ask questions about their recent success in the last three to six months. Ask them how your music fits their goals for growth as a company. Ask them questions about their business model and terms. The answers to these questions can help you to make the best decision for you. While aligning with people and companies who have relationships in place to pitch and sync music is the best way to set yourself up for success, I would urge any artist, who has the time, to build his or her own relationships. The creation of media content is growing everyday and the majority of it needs music. Artists should work to develop working relationships with creatives such as producers, music supervisors and video editors, however; before doing so, it’s important to understand the subtleties of these fields. Music supervision is a craft and a highly nuanced profession. It combines a deep knowledge of music and music for picture with music clearance and negotiation skills. It also requires a wide network of relationships with music rights holders and other creatives like show runners, executive producers and directors. Before pitching to a music supervisor, take the time to research their current project(s) and ask yourself if your sound is a realistic fit. 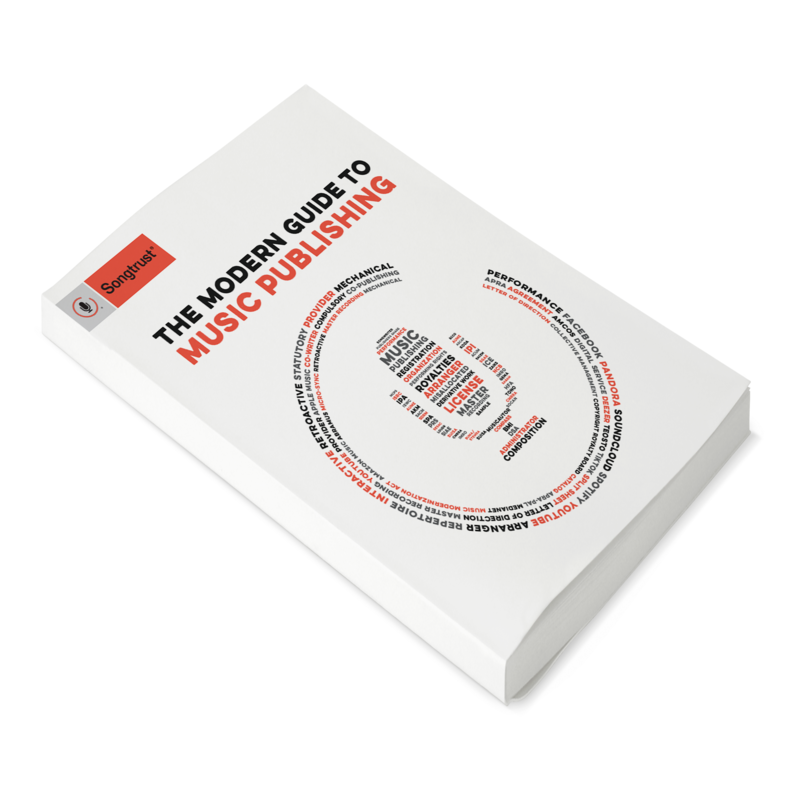 Let them know concisely who owns or controls both your master and publishing rights. Above all, be professional and respectful. That may be surprising for most, but, at least for me, it goes a long way. Overall, I believe sync, for the most part, is entirely beneficial for artists. It can be instrumental in helping to grow your organic fan base: the people who will consistently stream your music and come to your shows. It allows your music to take on a whole new meaning and creative purpose, and it provides a revenue stream that you can invest back into your career. However, know your value! Do not give your music away for free. For newer artists, you will have take risks as there will be opportunities with lower fees that can help provide a foundation for your career. But, do not shy away from negotiating. In my experience, if the music is truly meaningful to the production, there will be a deal that is fruitful for both sides - just be prepared, it’ll go a long way. While Songtrust does not offer creative services such as sync, we highly encourage our clients to create those relationships and pitch their songs for creative opportunities. We’re happy to help negotiate your sync deal on your behalf. To make sure you’re collecting all of your performance and mechanical royalties, register with Songtrust today!